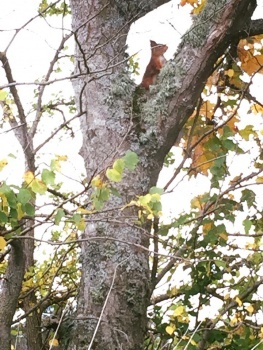 Red Squirrels in the Garden! And then he seemed to pose! He must be busy collecting moss, grass, lichen for his nest – called a drey. I hope he stays warms for winter! 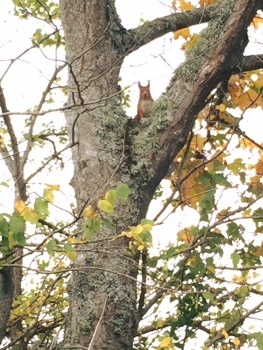 Red squirrel posting for a photo!